The Kenosha Sheriff’s Department announces a partnership with Youth for Christ and the YMCA to host a Post Prom Party for the third year in a row. Prom night can be a dangerous time for students. They don’t want the night to end. 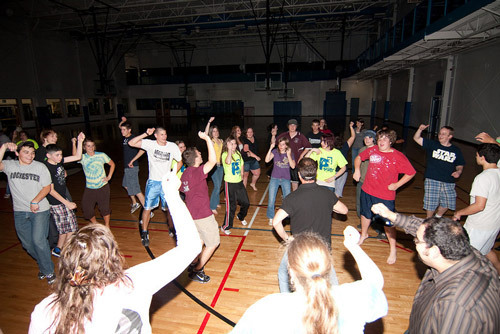 Without positive alternatives students can be tempted to attend parties where drugs and alcohol are offered. Many prizes will be given away in a drawing included in the price of admission. Some of those prizes are gift cards to area businesses and restaurants. The big prizes are season tickets to Six Flags, an iPod touch and an Xbox 360. Event coordinators want students to be attracted by great prizes, fun and food. They want students to avoid places that might push them into making poor choices. May 7 from 11 p.m. until 4 a.m. after the Westosha Central, Indian Trail, Harborside and Lakeview Tech proms. May 14 from 11 p.m. until 4 a.m. after the Bradford and Wilmot proms. Both events will be held at the YMCA offering an open gym, swimming, rock wall climb, and entertainment from M&R Music. Food is being donated by Bristol 45 Diner, Luisa’s, Olive Garden and DeRango’s. Admission is only $5, or $3 with a prom ticket. Students from all of these high schools who are eligible to attend prom are welcome, whether or not they go to prom. The goal of this event is to provide a fun alternative to other activities that could lead to students getting in trouble. Students will need a signed parental permission slip to get in and a rock wall waiver if they want to climb. Tickets can be purchased at the door or in advance. For more information check on the Kenosha Sheriff’s Department website, email bill.beth@kenoshacounty.org, or call 605-5133. YMCA Rock Wall waiver form.